Fit your entire family and a few friends inside the Toyota Sienna and get ready to drive around town in comfort. The Sienna is highly versatile with room for seven or eight passengers. Its great fuel economy means you have to make fewer trips to the gas station even if you constantly run errands or go to extra-curricular activities. The Sienna is even available with an Auto Access Seat for those with mobility impairments. Regardless of the size of your family, you will appreciate the latest technology in navigation, safety, and entertainment and the spacious cargo space of the Sienna. A variety of trim levels are offered with the 2019 Toyota Sienna: L, LE, SE, XLE, and Limited. The SE, XLE, and Limited trims come with sub trims known as SE Premium, XLE Premium and Limited Premium. The base L provides keyless entry, automatic emergency braking, 17-inch alloy wheels, five USB ports, Bluetooth®*, a 7-inch touchscreen, an auxiliary audio jack, a rearview camera, forward collision warning with pedestrian detection, tri-zone automatic climate control, adaptive cruise control, lane keeping assist, automatic headlights, a CD player, and automatic headlights. The LE trim gains power-sliding rear doors, roof rails, rear sunshades, heated mirrors, 18-inch wheels, privacy glass, and a power-adjustable driver’s seat. The SE comes with first and second row leather upholstery, a power liftgate, heated front seats, sharper steering, a sport-tuned suspension, and 19-inch alloy wheels. Drivers who choose the SE Premium will receive a rear-seat entertainment system, the Driver Easy Speak system, a premium JBL sound system, a navigation system, and rear cross-traffic alert systems. The XLE offers a power-adjustable front passenger seat, while the XLE Premium comes with front and rear parking sensors. The Limited and Limited Premium trim levels come with front and rear sunroofs, LED daytime running lights, automatic wipers, driver memory settings, a heated steering wheel, and much more. Before the 1998 Toyota Sienna arrived, Toyota offered the Previa, a minivan that was known for its egg shape, rear-wheel drive, and mid-engine. By contrast, the Sienna had none of that unusual styling, front-wheel drive, and an easy-to-access interior layout that was similar to segment leaders. The Sienna’s underpinnings have always been the same as the Camry as a way to reduce costs while offering two unique vehicles.Read more. 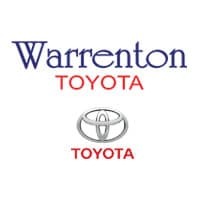 To make sure you are completely satisfied with your Toyota Sienna, be sure to visit Warrenton Toyota. Our team can answer questions before you are ready to configure your Sienna, work with you to complete the necessary paperwork and financing, and even help with routine maintenance at our service center as part of ToyotaCare. With our Elite Customer Care plan, you will get discounts, rental car vouchers, and more. Visit Warrenton Toyota in Warrenton, Virginia, today to experience the Toyota Sienna.